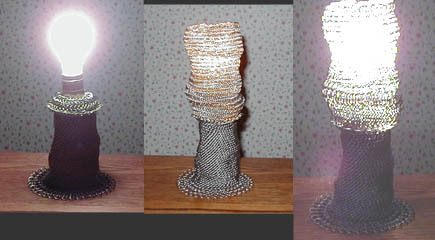 This lamp is entirely made from chainmaille, with no framework. The bottom is 1/2 persian sheet, with a bit of european, and the shade part is 6-1, 8-1 and 10-1 european of various id sized rings. It is all stainless steel except a small bronze trim on the bottom of the shade.